Alec Soth (b. 1969) is a photographer born and based in Minneapolis, Minnesota. 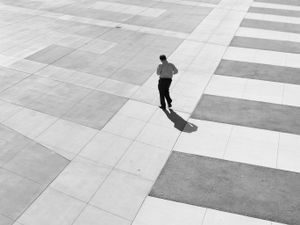 His photographs have been featured in numerous solo and group exhibitions, including the 2004 Whitney and São Paulo Biennials. 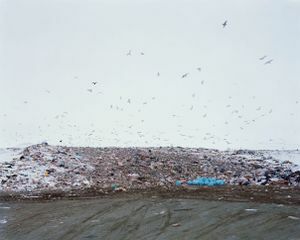 In 2008, a large survey exhibition of Soth’s work was exhibited at Jeu de Paume in Paris and Fotomuseum Winterthur in Switzerland. In 2010, the Walker Art produced a large survey exhibition of Soth’s work entitled From Here To There. 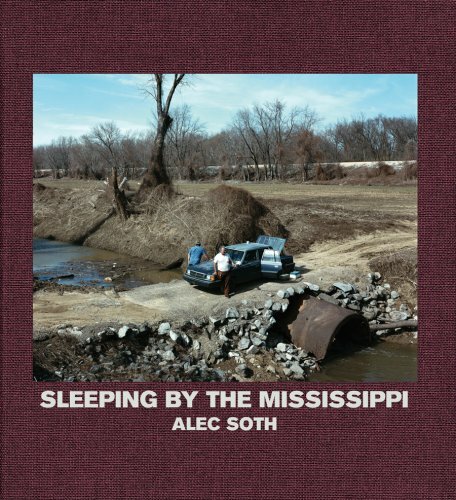 Alec Soth’s first monograph, Sleeping by the Mississippi, was published by Steidl in 2004 to critical acclaim. Since then Soth has published NIAGARA (2006), Fashion Magazine (2007) Dog Days, Bogotá (2007) The Last Days of W (2008), and Broken Manual (2010). Soth has been the recipient of numerous fellowships and awards, including the Guggenheim Fellowship (2013). In 2008, Soth started his own publishing company, Little Brown Mushroom. Soth is represented by Sean Kelly in New York, Weinstein Gallery in Minneapolis, and is a member of Magnum Photos. Buch Looking for Love. Kominek Bücher, 2012. Upstate. Little Brown Mushroom, 2012. Ohio. Little Brown Mushroom, 2012. House of Coates. Little Brown Mushroom, 2012. La Belle Dame Sans Merci. 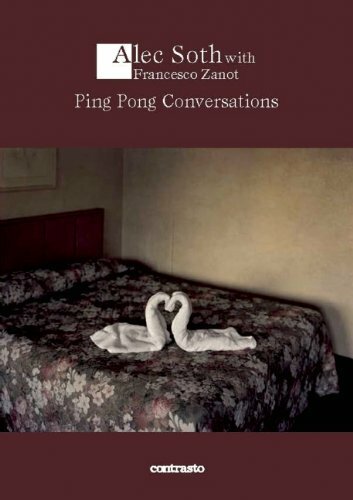 Edizioni Punctum, 2011. Postcards From America. Photographs by Alec Soth, Jim Goldberg, Susan Meiselas, Paolo Pellegrin, Mikhael Subotzky, and Ginger Strand. Magnum, 2011. Rodarte. 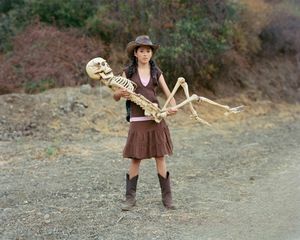 Photographs by Alec Soth and Catherine Opie. JRP|Ringier, 2011. The Auckland Project. 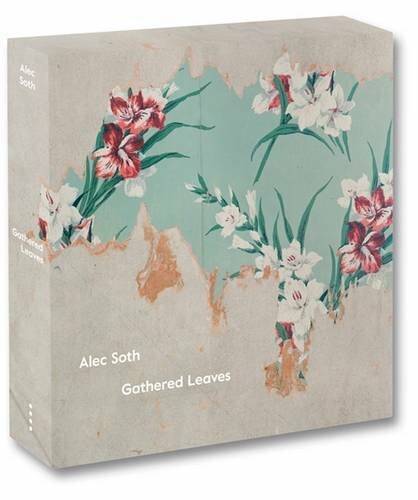 Photographs by Alec Soth and John Gossage. Radius Books, 2011. Farbenlehre. Optimal Media GmbH, 2011. Core Collections: Writings on Photography. Aperture, 2011. One Day, Ten Photographers. 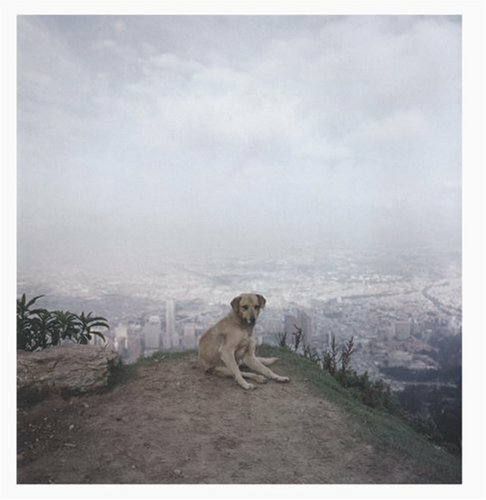 “Gus the Great” by Alec Soth; with Eva Maria Ocherbauer, Gerry Badger, Harvey Benge, Jessica Backhaus, John Gossage, Martin Parr, Rinko Kawauchi, Rob Hornstra, and Todd Hido. Kehrer, 2011. Lonely Boy Mag: A-1 “Midwestern Exotica”. Photographs by Alec Soth, essay by Jindrich Styrsk. Little Brown Mushroom, 2011. Lonely Boy Mag: A-2 “Boys &amp; Their Cars”. Photographs by Alec Soth, Todd Hido, Peter Davidson, and Chad States, essay by Arno Strine. Little Brown Mushroom, 2011. 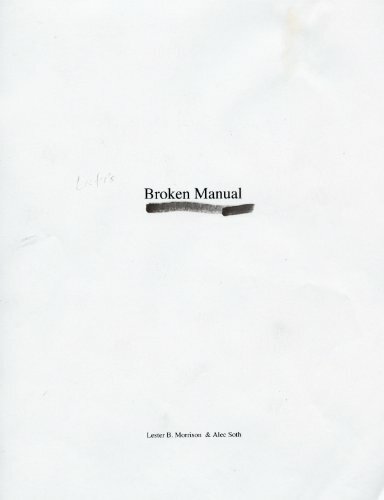 Broken Manual. 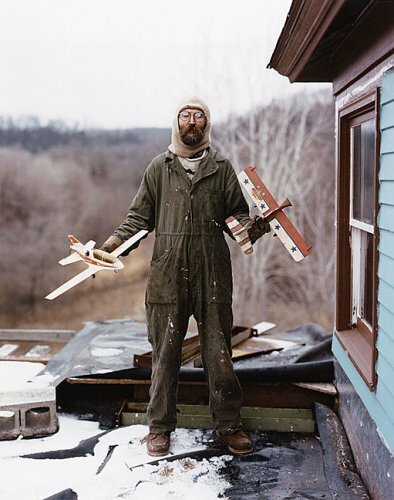 Alec Soth and Lester B. Morrison. Steidl, 2010. One Mississippi. Nazraeli Press, 2010. 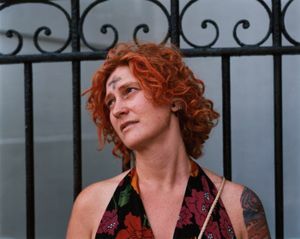 Ash Wednesday, New Orleans. Super Labo, 2010. O Christmas Tree. Urban Outfitters, 2010. From Here to There: Alec Soth’s America. Walker Art Center and Engberg, 2010. Brighton Picture Hunt. 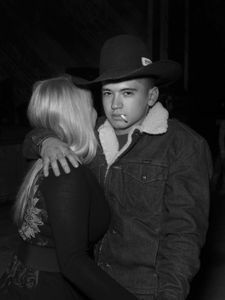 Photographs by Carmen Soth, edited by Alec Soth. Photoworks, 2010. Georgian Spring: A Magnum Journal. Alec Soth, Antoine d’Agata, Jonas Bendiksen, Thomas Dworzak, Martine Franck, Alex Majoli, Gueorgui Pinkhassov, Martin Parr, Paolo Pellegrin, and Mark Power. Magnum, 2009. Last Days of W. Little Brown Mushroom, 2008. Dog Days, Bogotá. Steidl: Göttingen, 2007. Fashion Magazine. Magnum: Paris, 2007. XL Photograpy 3. Hatje Cantz, 2007. The Image To Come: How Cinema Inspires Photographers. Steidl: Göttingen, 2007. Between the Lakes: Artists Respond to Madison. Madison Museum of Contemporary Art: Madison, 2006. Image Makers, Image Takers. Thames and Hudson: London, 2006. Vitamin Ph. Phaidon Press: London, 2006. NIAGARA. Photographs by Alec Soth, essays by Richard Ford and Philip Brookman. Steidl: Göttingen, 2006. Granta. The Making of Parts. 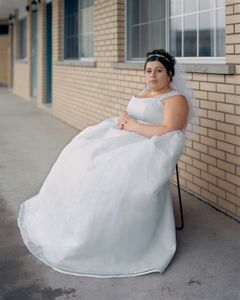 Photoessay by Alec Soth. Issue 89. 2004. Sleeping by the Mississippi. Photographs by Alec Soth, essays by Patricia Hampl and Anne Wilkes Tucker. Steidl: Göttingen, 2004. Vantage Points: Campus as Place. 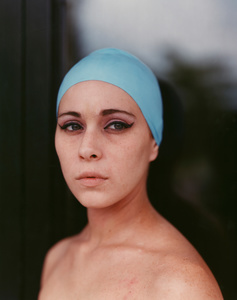 Photographs by Alec Soth, Beth Dow, Chris Faust. Carleton College Press: Northfield, 2002. Linked to the Future: Minneapolis and St. Paul. Six b/w plates by Alec Soth. Towery Publishing, Inc: Memphis, 1997. Artforum. 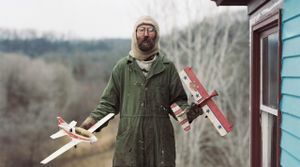 “Reviews: Alec Soth – Sean Kelly Gallery”. April, 2012. Decter, Joshua. Photo Magazine. “En Direct de New York”. March, 2012. Thérond, Eve. Interview. “Run Away with Alec Soth”. March, 2012. O’Reilly, Adam. Hyperallergic. “Children of God”. March, 2012. John, Yau. The Huffington Post. “Alec Soth: Escape Artist”. March, 2012. Despont, Catherine. Artforum. “Critic’s Pick: Alec Soth”. March, 2012. Ewing, Margaret. New York Magazine. “Critic’s Pick: Alec Soth – Armies of One”. March, 2012. Saltz, Jerry. Time Out New York. “Alec Soth, ‘Broken Manual’”. February, 2012. The New Yorker. “Critic’s Notebook: Road Show”. February, 2012. Aletti, Vince. The Huffington Post. “Alec Soth’s Photographs Capture Males Outside of Society”. February, 2012. Galleria. “This Week: Must-See Arts in the City”. February, 2012. Miranda, Carolina A.
Artinfo. “How to Run Away: Alec Soth on What He Learned From His New Series of Hermit Portraits”. February, 2012. Chayka, Kyle. Art Papers. “Blocked Escape Routes: Alec Soth’s Broken Manual and the Urge to Disappear”. March/April 2011. Lund, Karsten. Fantom Photographic Quarterly. 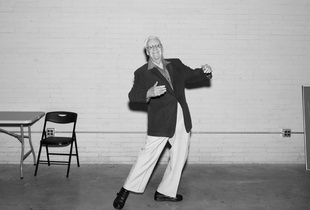 “The Big Manual, Alec Soth meets Lester B. Morrison”. Spring, 2010. Photoworks. 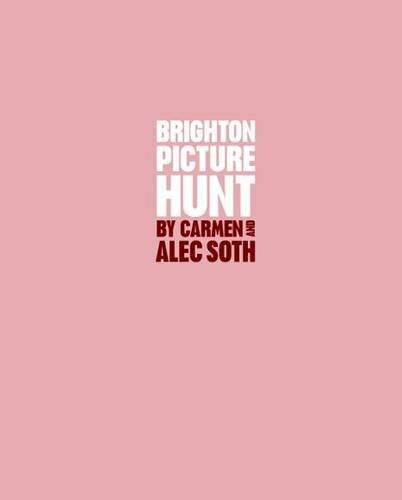 “Carmen &amp; Alec Soth: Brighton Picture Hunt“. Autumn/Winter, October-April 2010/11. Chandler, David. The New York Times. “Trolling for Strangers to Befriend”. August, 2009. Sheets, Hilarie M.
SF Weekly. 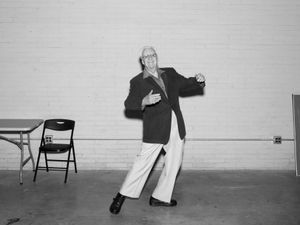 “Reviews: Alec Soth: The Last Days of W”. Febuary 2009. Vogel, Traci. Modern Painters. “The Last Days of W”. October 2008. 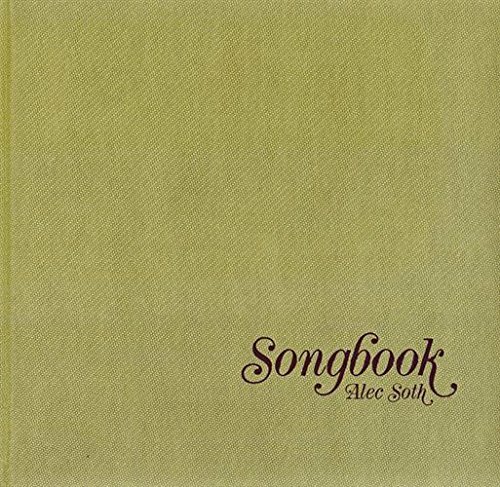 Soth, Alec. Artforum. 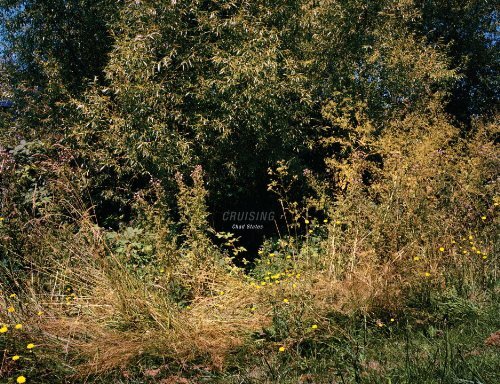 “Reviews: Alec Soth, Wohnmaschine”. May 2008. Honigman, Ana. Stiletto. “Désir D’Attraction”. April 2008. Ollier, Brigitte. Frieze. 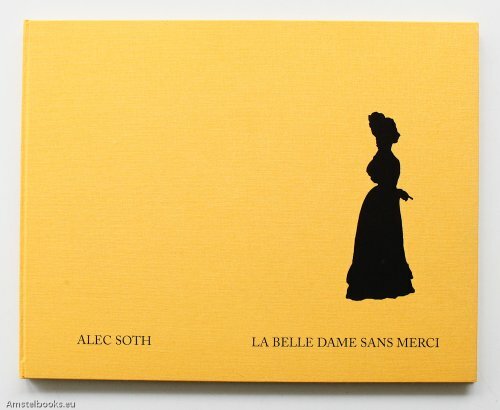 “Reviews: Alec Soth at Jeu de Paume.” April 2008. Smith, Sarah-Neel. Art in America. “Reviews: Alec Soth at Martin Weinstein.” April 2008. Coggins, David. City Pages. 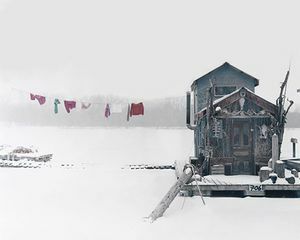 “Alec Soth”. Jan 2008. Severns Guntzel, Jeff. Aperture. “Sixty Years of Magnum.” Summer 2007. Badger, Gerry. The Wall Street Journal. “Art Blogs.” March 17-18, 2007. Russell, Jacob Hale. Guide to Unique Photography. “Running Water.” Issue #6, 2006. Milo, Pim. The British Journal of Photography. “Young Guns.” Volume 154. Smyth, Diane. American Photo. “The Art of the Web.” May/June 2006. ARTnews. 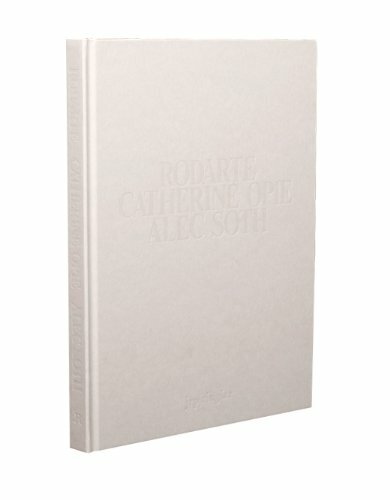 “Reviews: Alec Soth, Gagosian.” June 2006. Berwick, Carly. Stern. “Reale Leidenschaften.” April 25, 2006. Riester, Sabina. MN Public Radio. 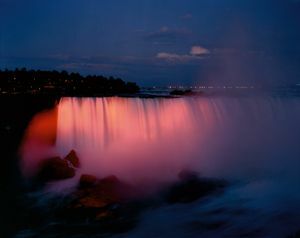 “After the Falls.” April 11, 2006. Combs, Marianne. Minneapolis StarTribune. “See-worthy art events around town.” April 6, 2006. Abbe, Mary. Magenta Magazine. 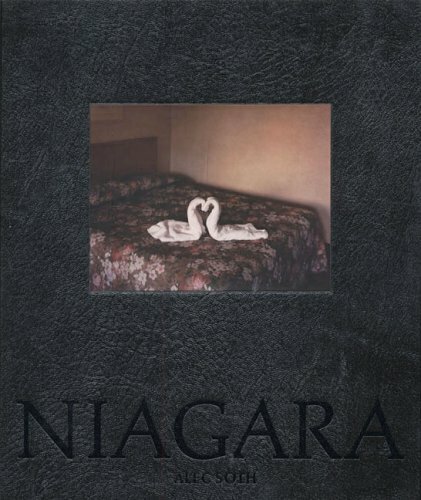 “Book Review: NIAGARA.” Spring 2006. Strettel, David. Financial Times. “The human wilderness.” March 26, 2006. Hodgson, Francis. Photo District News. “Catching up with Alec Soth.” March 23, 2006. LaSala, Anthony. ARTnews. “Altered States.” March 2006. Woodward, Richard. The Rake. “Making it.” March 2006. Caniglia, Julie. The New Yorker. “Critic’s Notebook: Soth Bound.” February 13&amp;20, 2006. Aletti, Vince. Guardian. “This is sacrilege.” February 14, 2006. Searle, Adrian. Newsday. “The heart of darkness through a Niagara lens.” February 10, 2006. Budick, Ariella. The Villager. “The A List: Legends of the Falls.” February 8-14, 2006. —–. New York Magazine. “An hour in Chelsea.” February 6, 2006. Rosenberg, Karen. Art &amp; Auction. “An intimate affair.” February 2006. Pollack, Lindsay. The New York Art World. “Ghada Amer and Alec Soth, Gagosian Gallery.” February 2006. Ramirez, Nicollette. Village Voice. “NYC Guide: Art.” February 2006. —–. 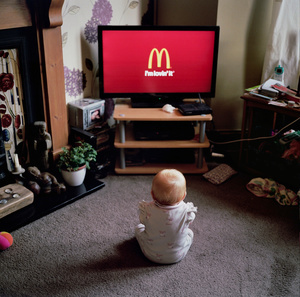 The Digital Journalist, “Alec Soth’s Niagara.” February 2006. Richards, Roger. Des Moines Register. “Old Man River photos focus on curious, charming.” January 22, 2006. Pierre, Amanda. Des Moines Register. “Mississippi photos surreal; Des Moines Art Festival for real.” January 5, 2006. Pierre, Amanda and Jeffrey Bruner. ArtReview. “The bigger picture,” December/January 2006. Jobey, Liz. Artforum. “Preview:Munich: ClickDoubleClick: The Documentary Factor (Haus der Kunst).” January 2006. Frailey, Stephen. POL Oxygen. “Soth Focus: Everyday heroes,” Issue 15, 2005-2006. Gadd, Jessica. Buffalo News. “Editorial: Tell Me,” December 16, 2005. Connolly, Brian. The New York Times. “A Carnival of Art, Money, Surf, and Sand.” December 3, 2005. Smith, Roberta. Picturemagazine.com. “SFCP 3.” Nov/Dec 2005. ——. mnartists.org. “Rising and Falling to the Occasion: New Photography, McKnight Fellows 2004-2005.” November 19, 2005. Gordon, Glenn. Minneapolis Star Tribune. “Mining the meaning of Images.” November 25, 2005. Abbe, Mary. Chicago Tribune, “The Photo Issue: 5 Things you need to know about collecting photography.” November 13, 2005. Skolnik, Lisa. PDN, “Icons of the 21st Century: Books,” October 2005. 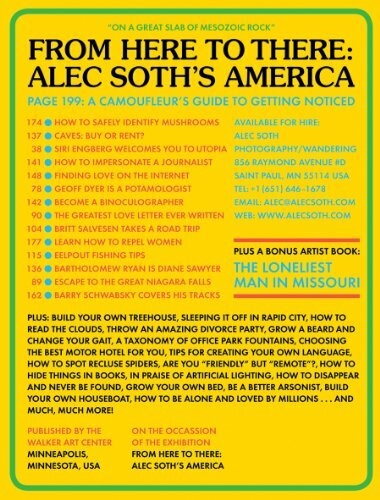 Artforum, “Reviews: Alec Soth.” September 2005. Caniglia, Julie. Minneapolis StarTribune, “State Fair art show celebrates beauty, family, foibles and loss,” August 26, 2005. Abbe, Mary. The New Yorker, “Galleries-Chelsea: Minets A Polis.” August 8 &amp; 15, 2005. The New Yorker, “Galleries-Chelsea: Roger Ballen and Alec Soth.” July 25, 2005. Pulse of the Twin Cities. “Hot tickets for July 13-19, 2005: Alec Soth and Andrei Codrescu.” July 13, 2005. Urbanski, Adrienne. PDN Photo Annual 2005. “Photo Books.” May 2005. Digital Photographer. “Outside the Box: Environmental Portraiture.” Issue 32, 2005.
mnartists.org. “Tender Regard and Comic Melancholy: Alec Soth at MIA.” April 24, 2005. Gordon, Glenn. mnartists.org. “Magic and Hard Work: Alec Soth at MIA.” April 24, 2005. Fallon, Michael. Newsobserver.com. “On view.” April 8, 2005. Sung, Ellen. The Independent Review. “Backwater Blues.” April 7, 2005. Lees, Alasdair. Twin Cities Where. “Local Knowledge.” April 2005. St. Paul Pioneer Press. “Recent Developments.” March 6, 2005. Peiken, Matt. The Art Newspaper. 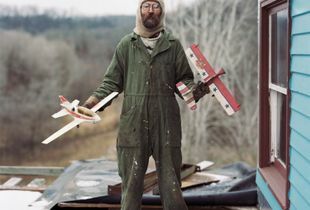 “Alec Soth: Portraits, No. 156.” March 2005. The Rake. 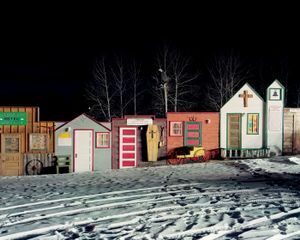 “Art: Alec Soth.” March 2005. Photo-eye. “The Best Books of 2004.” Spring 2005. Mouvement. “Portfolio.” January/February 2005. —–. American Photo. 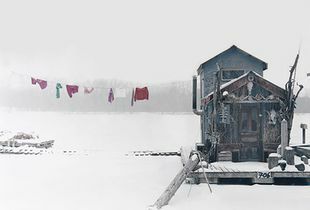 “Stream of Consciousness: Alec Soth looks for American dreamers along the Mississippi.” January/February 2005. Elbies, Jeffrey. Village Voice, “Top 25 Photo Books of 2004,” January 24, 2005, Aletti, Vince. Time Europe, “A River Runs Through It,” January 17, 2005, Pantall, Colin. American Photo On Campus, “Beautiful Dreamer,” January 2005, Albies, Jeffrey. Minneapolis Star Tribune, “Artist of the Year,” December 26, 2004, Abbe, Mary. The New York Times, “Southern Photography, Inspired by a Yankee,” December 4, 2004, Smith, Roberta. Camera Arts, “Writing with Light: Ten Books for Your Wish List,” December 2004, More, Michael. ic Liverpool, “Don’t miss Mississippi pictures,” November 29, 2004. Time Asia. “A River Runs Through It.” December 2004. Pantall, Colin. Daily Post. “Don’t miss Mississippi pictures.” November 29, 2004. ——. The British Journal of Photography, “Mississippi dreaming,” November 24, 2004, Pantall, Colin. Photo Italia, “Sognando il grande fiume,” November 2004, Recordati, Sara. Source, “Book Reviews,” Autumn 2004, Miller, Alicia. Art Review, “I walk the line,” October 2004, Schuman, Aaron. Art in America, “Reviews: Berlin – Alec Soth at Wohnmaschine,” October 2004, Phillips, Christopher. Modern Painters, “Lost in Curation,” Autumn 2004, Aletti, Vince. Rain Taxi Review of Books, “Sleeping by the Mississippi,” Fall 2004, Gordon, Glenn. Photo District News, “In Print: Sleeping by the Mississippi,” September 2004, Lehan, Joanna. Photo District News, “Magnum inducts new members,” September 2004. The Digital Journalist. 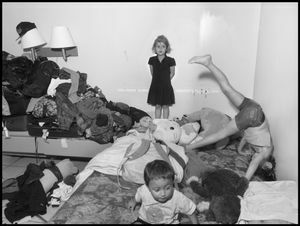 “View from the Photo Desk: Q&amp;A with Alec Soth of Magnum Photos.” September 2004. Richards, Roger. NewYorkPress.com. “Landscapes.” August 17, 2004. Morton, Lisa. City Pages, “The A-List,” August 11, 2004. Der Tagesspiegel, “Amerikanische Seele,” August 7, 2004, Daniels, Corinna. St. Paul Pioneer Press, “Mythic River,” July 18, 2004, O’Sullivan, Thomas. Minnesota Public Radio, “All Things Considered,” July 12-16,2004, Combs, Marianne. Minneapolis Star Tribune, “Mississippi Dreaming,” July 9, 2004, Abbe, Mary. ArtNews, “Reviews: Alec Soth at Yossi Milo,” Summer 2004, Cone, Michele C.
San Francisco Gate, “Reviews: Alec Soth,” July 2004, Bing, Alison. Photo District News Online, “Magnum Members Grapple with the Future at Annual Meeting,” July 1, 2004, DeFoore, Jay. Minnesota Monthly, “Sleeping by the Mississippi: Portfolio by Alec Soth,” July 2004, Gihring, Tim. The Rake Magazine, “A River Runs Through Us,” July 2004, Caniglia, Julie. The Sunday Telegraph Magazine, “A River Runs Through It,” June 27, 2004, Turner, Christopher. Art in America, “Report from New York: The Well-Tempered Biennial,” June/July 2004, Heartney, Eleanor. San Francisco Chronicle, “Alec Soth at Wirtz,” June 12, 2004, Baker, Kenneth. mnartists.org. 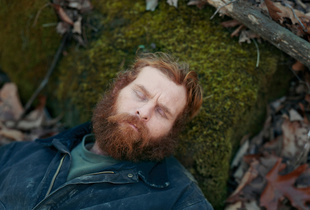 “Alec Soth, Sleeping by the Mississippi, is Now Wide Awake in Minneapolis.” June 8, 2004. Fallon, Michael. Flash Art, “Whitney Biennial 2004: A Good-Looking Corpse,” May/June 2004, Dunn, Melissa. Photo District News, “The Year in Review: Award Winners of the Year,” May 2004. Photo-Eye, “Survey of New Books,” Summer 2004. Artforum, “Reviews: Alec Soth,” Summer 2004, Raymond, Jonathan. Contemporary. 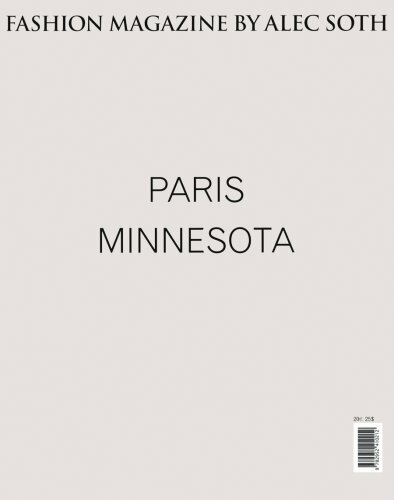 “Highlights: Minneapolis.” Issue 61, 2004. Douglas, Kris. Exit Express. “Bienal del Whitney 2004.” May 2004. Hatchadoorian, Lisa. 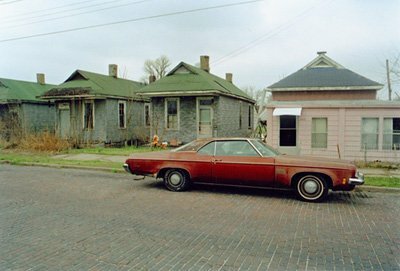 Photo, “Alec Soth révéle son Mississippi,” April 2004, No. 408, Théroud, Eve. mnartists.org. “Art Review: The Whitney Looks to the Interior.” April 21, 2004. Fallon, Michael. The Village Voice, “Show World,” April 19, 2004, Aletti, Vince. The San Diego Union Tribune. “At the Whitney Biennial, more highs than lows—and most of the country is MIA.” April 18, 2004. 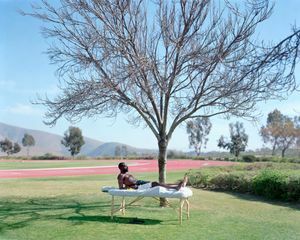 Pincus, Robert L.
The New York Times, “Art in Review: Alec Soth,” April 16, 2004, Cotter, Holland. Time Out New York, “Reviews: Alec Soth: Sleeping by the Mississippi,” April 15-22, 2004, Kerr, Merrily. The New York Sun, “Photography: The Newest Eyes,” April 15, 2004, Meyers, William. Columbia Spectator. “Anticipated Biennial Brings Few Surprises.” April 12, 2004. Krudy, Cat. Toronto Star, “Fresh images burst from Whitney Biennial,” April 10, 2004, Goddard, Peter. Minneapolis Star Tribune, “You can’t buy this kind of publicity,” April 2, 2004, Abbe, Mary. The Village Voice, “A-list,” March 12, 2004, Aletti, Vince. The New Yorker, “Goings on about Town: Photography,” March 29, 2004. Time, “Major Art Attack,” March 29, 2004, Lacayo, Richard. New York Magazine, “Photography: A River Runs Through It,” March 22-29, 2004, Rosenberg, Karen. The Wall Street Journal, “Whitney Biennial: A Show the Critics Usually Love to Pan, and for Good Reason,” March 23, 2004, Rosenbaum, Lee. The Leaf of Sao Paulo. “Melancholy, blackout and emptiness predominate the Whitney Biennial.” March 22, 2004. Cariello, Rafael. Toronto Globe and Mail. “Art in a tremulous time (Whitney Biennial),” March 17, 2004, Milroy, Sarah. The Washington Post. “Whittling Down the Whitney,” March 14, 2004, Gopnik, Blake. The New York Times. “Touching All Bases at the Biennial,” March 12, 2004, Kimmelman, Michael. The Village Voice. “A-list.” March 12, 2004. Aletti, Vince. Photo District News. “PDN’s 30 2004.” v. XXIV, March, 2004. LaSala, Anthony. Blind Spot. Issue 26. Winter, 2004. Cover and six color photographs. Next Level. Edition 2, Vol. 2. Winter, 2004. Fotopozytyw. “Fotografie dla Carmen.” no. 1. Stycen, 2004. Mazur, Adam. City Pages. “Artists of the Year.” December 31, 2003. Fallon, Michael. Minneapolis Star Tribune. “Three with state ties picked for top show.” December 14, 2003. Abbe, Mary. City Pages, “One of the Great Ones,” September 10,2003, Fallon, Michael. Photo District News. 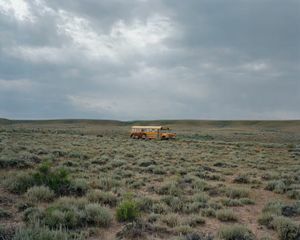 “Alec Soth wins Santa Fe Prize.” August, 2003. DeFoore, Jay. Camera Arts Magazine. 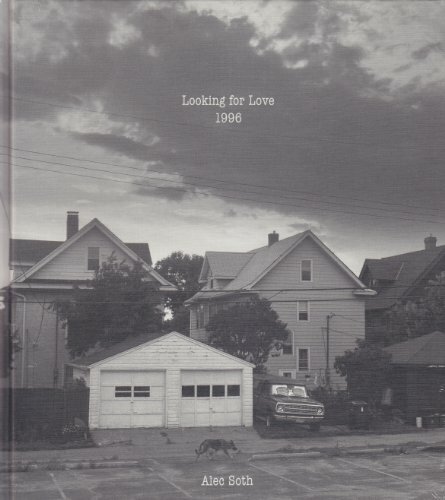 “Santa Fe Center for Photography 2003 Award Winners Publication.” Cover and 7 color photographs by Alec Soth. August/September 2003. Minneapolis Star Tribune. “Fellow Travelers, Six Photographers.” Sept. 15, 2000. Abbe, Mary. Minneapolis Star Tribune. “Photo Exhibits display spiritual musings.” June 19, 1998. Abbe, Mary. For well over a decade, the distinctive voice and eye of Alec Soth have inspired photographers all over the world—discover his spare, poetic wisdom in this enlightening interview. Suicide Machine: Is Bridgend Really the Town With No Hope? Today we are constantly plugged in—but also ever alone. Our internet-fueled atomization raises concerns about the future of our sociability. There are few people out there able describe such issues with the same poignancy as Alec Soth. Discover his latest book. 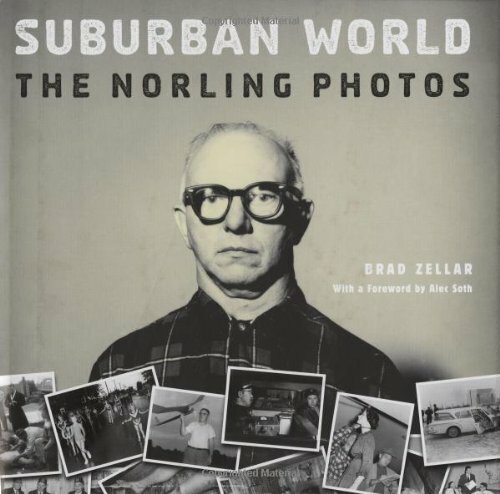 This brilliant photography book features large format details of marginal living in the Midwest. Photographs by Alec Soth.